An ultra-luxe 3-bedroom duplex villa for sale in Phuket's Kata Beach through Patrick Lusted from Siam Real Estate. Located on the oceanfront of the peninsula between the Kata and Kata Noi beaches, Kata Rocks is just a 15-minute drive to Patong Beach. At the resort you will enjoy six-star concierge service, a modern gym, and luxury spa as well as a world-class restaurant. The stunning infinity swimming pool and massive terrace look out over the Andaman Sea and help to create the ultimate island hideaway. 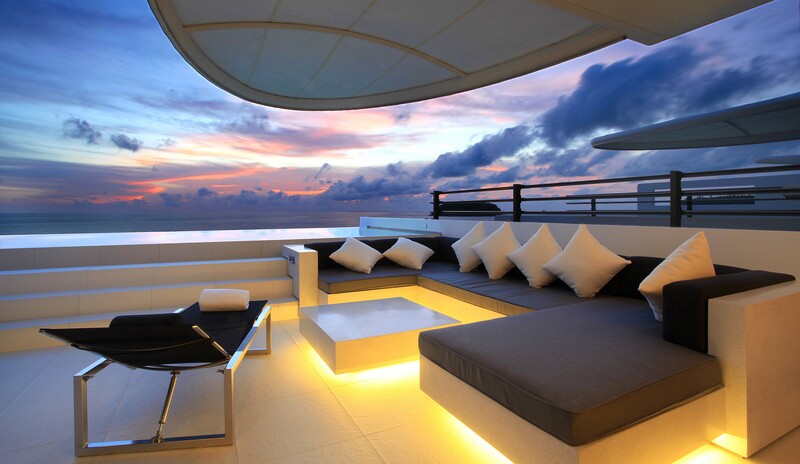 Consider the three-bedroom Sky Pool Villas, which are perfectly situated to view the most awe-inspiring 180-degree sunsets on the Phuket western coastline. These suites are ideal for your family or your closest groups of friends travelling together for a Phuket luxury holiday. The expansive space includes indoor and outdoor living areas, and can accommodate an extended family get-together or reunion. After checking-in to the oceanfront villa in Phuket, many guests go directly to the award-winning Infinite Luxury Spa for individual treatment sessions, couple’s spa programmes or take the entire family and reserve several rooms in which they can ‘luxuriate together’ as a group. The Sky Pool Villas are also adaptable to handle in-villa spa treatments, should you desire. Each of the Sky Pool Villas is thoughtfully designed, and includes attractive living, dining and kitchen areas, ideal for entertaining, relaxing and savouring either romantic moments or family fun. Designed to include smart home technology, an in-villa iPad controls innovative state-of-the-art home VDA automation software, and is customised to control the lighting, temperature, music, television, blinds and service requests. 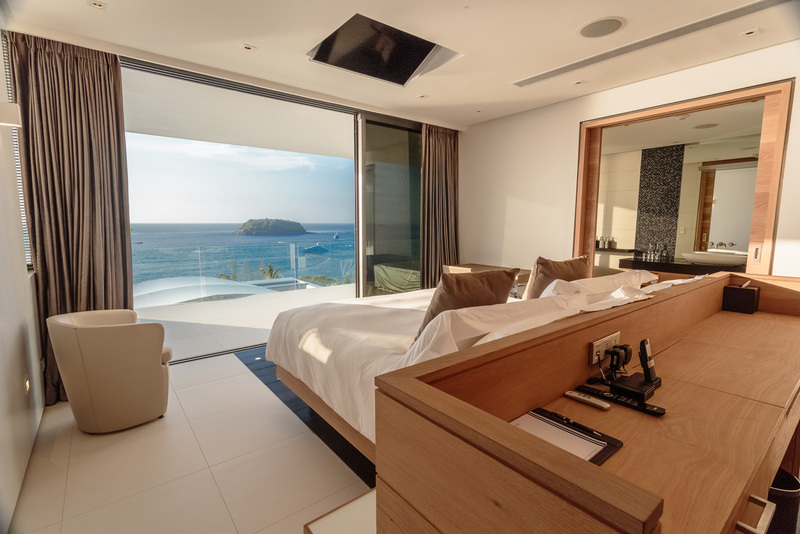 The master bedroom features a king-sized bed, and has stunning views from an outdoor Jacuzzi to enjoy the daily spectacular Phuket sunset. Two additional guest bedrooms, each with twin beds, have space for the whole family to unwind or for friends to enjoy a wonderful holiday together. All three bedrooms have en suite bathrooms with a superb rain and jet shower unit and designer ‘apaiser’ luxury stone baths and basins complemented by the highest quality Kata Rocks bath amenities. To arrange an inspection or discuss pricing, phone or email Patrick Lusted from Siam Real Estate via the contact details below.